World Cup winner Lawrence Dallaglio believes Milton Keynes will soon grow into a rugby town as the sport’s spotlight shines on the town. All eyes may well be on the three Rugby World Cup pool games coming to stadium:mk in October, but a game dubbed ‘Best of British’ between current Aviva Premiership champions and league leaders Northampton Saints and last year’s beaten finalists, and second place side Saracens comes in just three weeks. With the Webb Ellis Trophy spending two days in Milton Keynes as part of the World Cup tour, and an official fan park to be set up in Campbell Park during the tournament, former England skipper Dallaglio believes the town is in for a real treat. “This is a fantastic sporting arena,” he said. “Pete Winkelman and his team have done an amazing job to create stadium:mk and is fully deserving of a place in Rugby World Cup. “There will be three amazing games of rugby in the World Cup, and of course Northampton Saints against Saracens. “Once it’s packed, it’ll create an incredible atmosphere which is great for the players and the officials on the pitch, but also as a match day experience for the fans and everyone off it. “Any sporting event needs good preparation, so to have that big match at the business end of the season where it will mean something, with a sell-out crowd, will be a great test even for the World Cup. “The fans parks are really important. If you can’t get a ticket for a game, all the games will be shown with a host of other events going on. Nine of the 13 venues selected to host games during the World Cup aren’t recognised rugby grounds, with stadium:mk among those. And with Saints vs Saracens likely to be one of the biggest games of the season, playing the game in Milton Keynes will have raised more than a few eyebrows among Northampton’s fans. But Dallaglio believes by hosting another game in MK, Saints will take great strides in growing not only the sport, but also the Northampton Saints brand outside of Franklin’s Gardens. 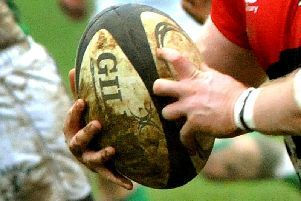 He said: “Every side these days takes a few games away from their home to try and grow the sport. This has always been in the fixture list. “You see Wasps have gone to Coventry with great success, Saracens have taken games to Wembley, Harlequins have taken games over the road to Twickenham too.